I love everything about Christmas, but one of my favorite activities is baking Christmas cookies! 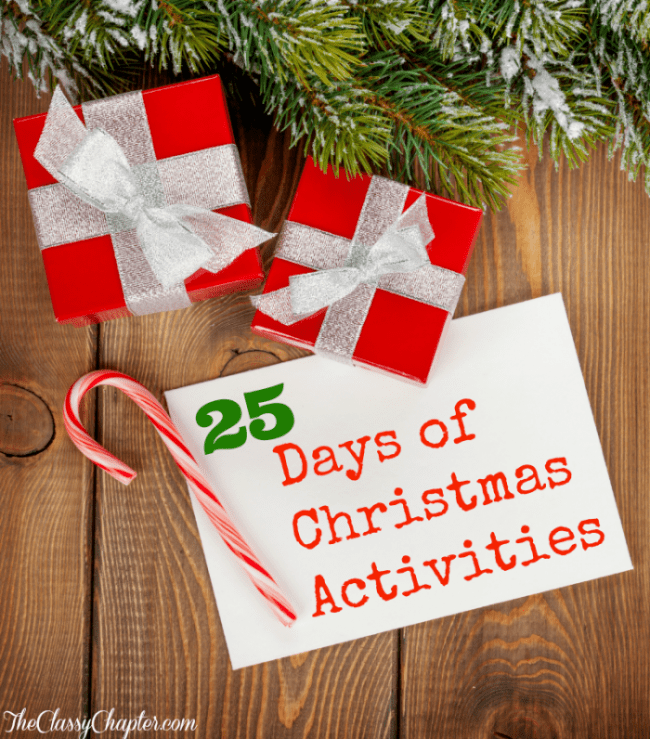 I will normally spend one to two weeks every December making family favorite recipes and fun stuff I find online. I’ve compiled some of the Christmas cookies I will be baking in a few weeks! Make sure to click through the links below and give these amazing bloggers some Christmas love! 1. Hershey’s Cocoa Kiss Cookies – I just came across these cookies this evening and I can not wait to try them! Seriously, look at the picture of these, read the ingredients and tell me they don’t sound amazing! 2. 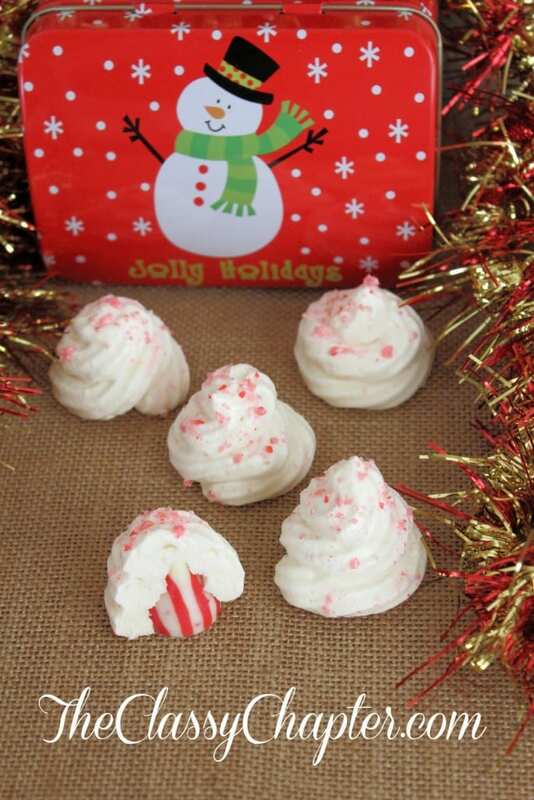 Peppermint Meringue Cookies – To die for! They are also super creative. 3. Funfetti Cake Batter Cookies – These cookies look so fun and festive. A must bake this year! 4. Mint Chocolate Blossom Cookies – My Grandma used to make a cookie similar to this one. I’m excited to try it out and see if it compares. I have a feeling it will! 5. 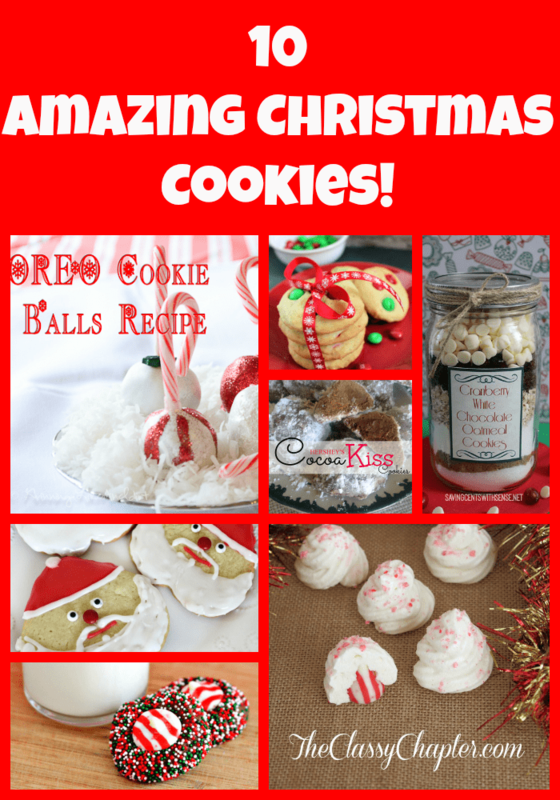 Peppermint Oreo Cookie Balls – A mix between a cookie and a cake pop! I’m sold. 6. Magic Cookie Bars – These cookies can be baked, year round…my favorite type. 7. Chocolate Rolled Cookies – Seriously, these cookies are to die for! No words needed. 8. Santa Sugar Cookies – I have my own special sugar cookie recipe that I use, but I’m always looking for new ones to try out. 9. M&M Holiday Cookies – M&M’s in cookies? My weakness! 10. Cranberry White Chocolate Oatmeal Cookies – Not only do these cookies look amazing, but they are the perfect gift! I love cookies but my issue is that I can’t just have one but more like a whole dozen. With that I try to bake with coconut/almond flour and healthify my cookies. I’ll have to try some of these recipes with these alternative flours.